Definitely in production by 1949 (when they were advertised in Toy Trader & Exporter), I'm guessing the unpainted polystyrene figures arrived first with the painted Polyethylene versions following at a later date, but that is a guess. I only have two of the hard plastic ones at the moment; 'Airborne' and 'Knight in Armour', more will be added as I find them. 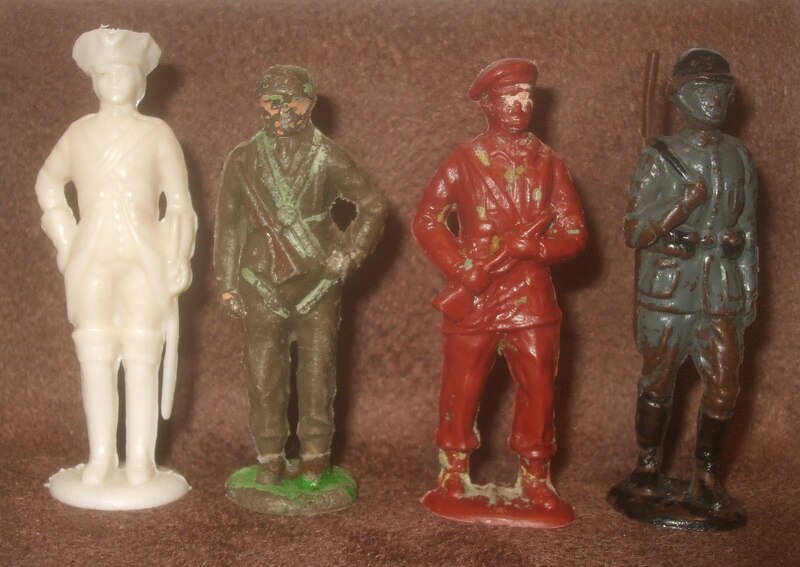 In soft plastic we see from left to right; '18th Century Fusilier', 'Paratrooper', 'Airborne' again (as opposed to paratrooper!!?) 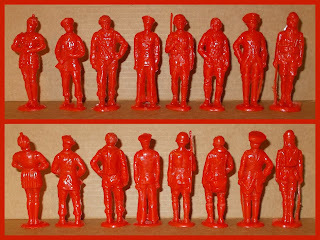 and finally 'German Soldier'. 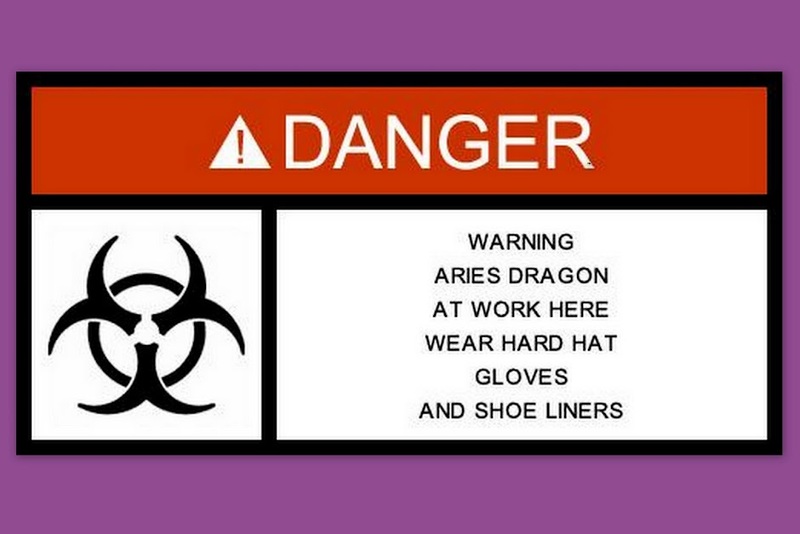 The paratrooper is now identified as probably the Trojan copy. 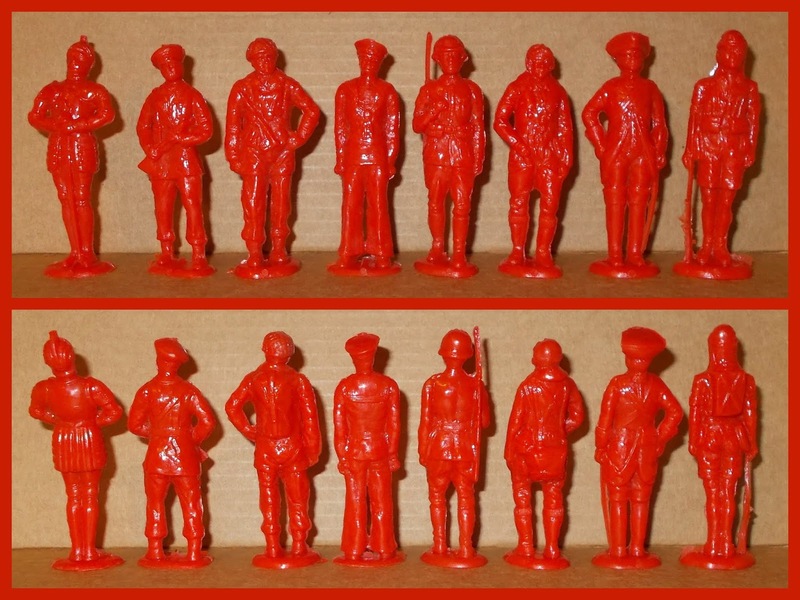 These figures were also issued in Australia by a company called Pierwood Plastics under the Fethalite label in the unpainted hard plastic version. Some of the names/titles were however changed. Smaller (copies/pirates?) have turned up and various mould variants of the Paratrooper seem to exist - both versions shown in the Plastic Warrior publication 'Airfix - The Early Days' have different arm-gaps from mine - and each other. 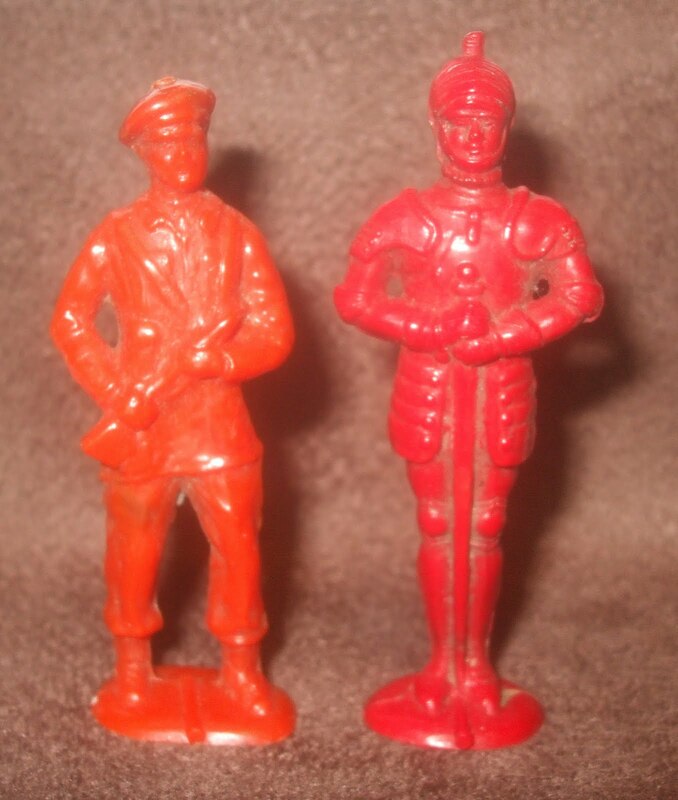 A nicely painted knight to the right of a couple of unpainted figures, all soft ethylene plastic. Three more have turned-up via MercatorTrading; a well painted (re-painted?) 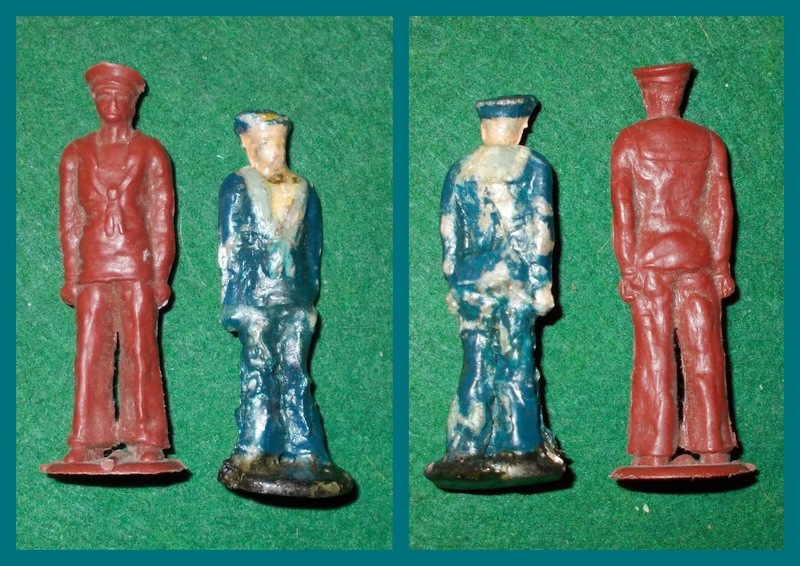 para and two sailors, the funny thing was I saw at least nine sailors at the show (Plastic Warrior's 32nd Toy Soldier Show), six of them as two lots (on different stalls) of three, crudely painted in white uniforms, these two and another in black/navy blue. Still after a pilot and a Japanese soldier! 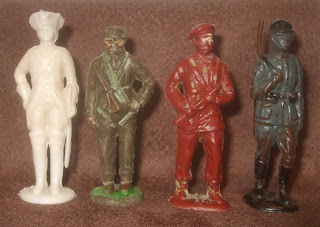 A Pierwood Plastic / Featherlite lot send in by an Australian reader Norman Dunckley, they belonged to his late father and show 7 of the eight poses, from the fact that I've seen similar lots on Australian sites, it seems to me that they probably got the mould from Airfix, and ran them later, for longer? 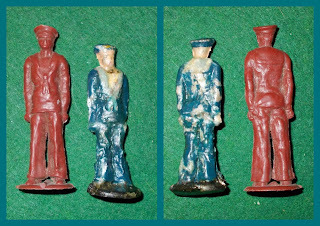 The figures are given a quick paint which is similar to the Airfix paint schemes, but looks to be simplified, you can see with the knight that the under-colour of the polymer is the bright yellow of the unpainted, carded Featherlite set sent in to PW magazine. 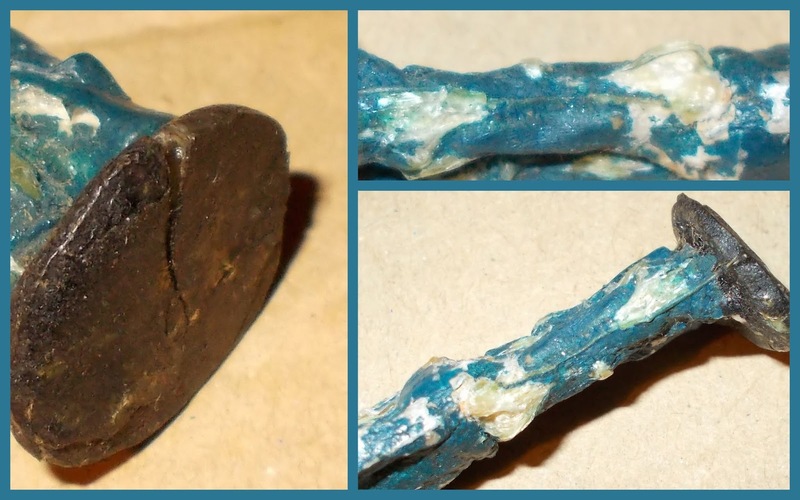 This is made of an earlier hard plastic, from the damage; probably a Celluloid, and Cellulose Nitrate, not Acetate? The figure is literally exploding in very slow-motion as blisters of chemically-altered compound create larger masses of a powdery substance which has nowhere to go but out! He was quite well painted once! As well as the powdery-blisters the figure is cracking as it 'dries'out', despite not being exactly wet! I have had some success treating this kind of damage with plumbers pipe sealant (SC125 Solvent Cement, active ingredient - Bisphenol A-epichlorohydrin! 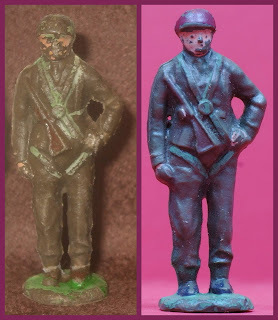 Although Methyl-Ethyl-Ketone adhesives will also do the job) on a similarly damaged Belgian JSB figure of the same era, and on 'sticky' Starlux and other French figures. It doesn't restore the figures, but creates an airtight seal which retards/halts the degradation by restricting/preventing oxidation. It also restores the colours somewhat, but you have to work fast; A) to prevent the remaining paint running and B) because the solvent is a fast drying (curing or evaporating) medium. 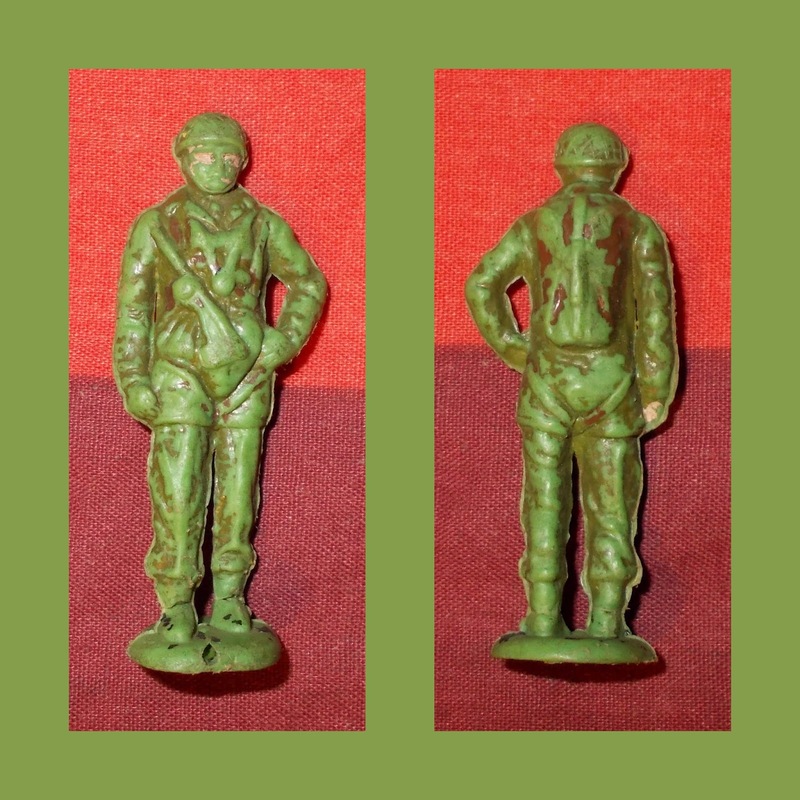 The 'Airborne' figure in one of my original images above is almost certainly the Trojan copy, sold in carded sets of three, coded; 1193 - Parachute Battalion, the precise make-up of which remains unknown but may be two Airfix copies with one Timpo GI Binocular pose, or just three of the Airfix airborne poses? 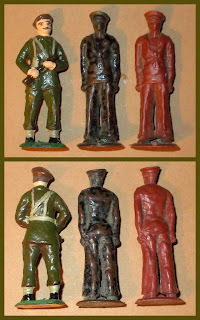 Two (the original and one supplied by Barney Brown of HeraldModels) are shown above. As a result the little table I did now looks like this! 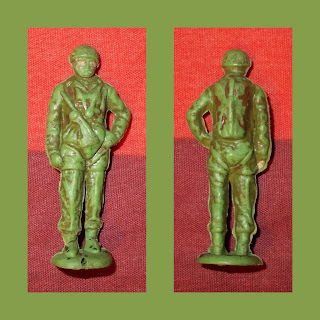 There is still an '1136 Air Commando Tommy Gunner' from Trojan to be ID'd, but from the pricing it would seem to be a larger stand-alone figure, probably one of the many versions of the parachute toy of a chap grasping a weapon across his chest? This is the paratrooper (posted August 2018), I only need a Japanese soldier and pilot for a 'set' although there is such variation with these I'll keep grabbing them whenever I see them! You can see he's much better sculpted than the Trojan (and I'm 100% sure the other is the Trojan 1193 'Parachute Battalion' now), and he is also larger being approximately 60mm to the 54mm of the Trojan figures. 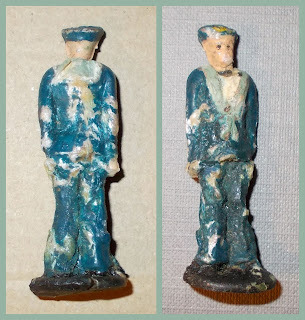 A comparison between the 'collapsed' figure I posted earlier this year (2018) and one of my older samples, I really can't account for the size difference, it's true that he was very degraded before I coated him, and seems to have lost most height from the legs and his neck (which has all but disappeared), but that doesn't really explain the difference. I wonder if he is a copy, possibly home cast in Plasticine or Rawlplug's Plastic Wood (a good substitute for Elastolin, sadly no longer available), who looked a bit better when first produced? 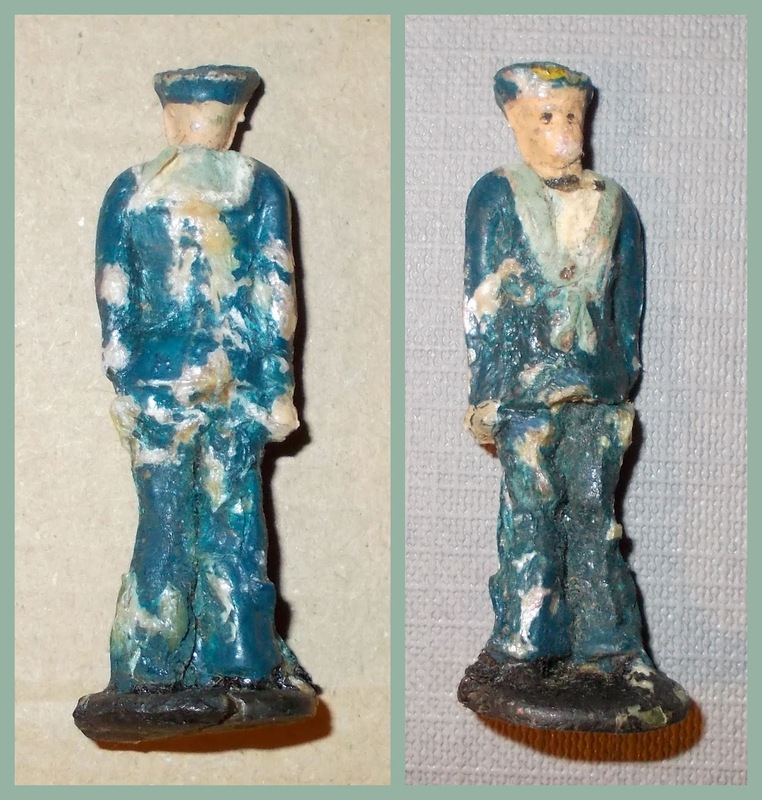 As a result of having now ID'd the smaller Para as Trojan and with a question-mark over this sailor, I've removed the 50mm Tag, as most of the set stand closer to 60mm. Below posted - January 21st 2019 . . .
. . . at last - a complete set! It's funny, but because I will be waxing lyrical about this set on the home-blog with duplicate images the same day I post these here and because this post is constantly added to and edited, this is - in some respects - 'just another addition', but nevertheless; many, many thanks to Glenn Sibbald of New Zealand for sending these to the Blog, a selfless gesture that frankly stunned me when I opened the parcel. 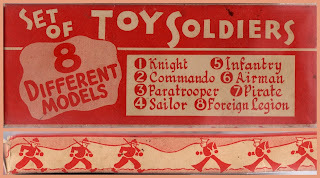 This - at day of posting - is a 'New to Hobby' packaging of the early Airfix figures, as produced by Pierwood next-door in Oz, but clearly a New Zealand issue, the brand unknown. 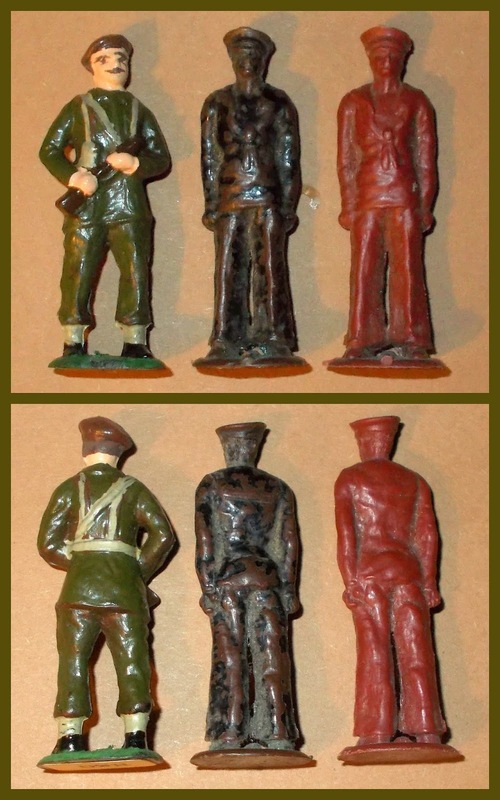 They could be Pierwood-supplied (they share the same figure-descriptions) but they are presented in a different order and NZ had a lot of here-today, gone-tomorrow plastics firms at the time, anyone of whom could have borrowed the moulds from Pierwood, or bought them? The figures; in the order in which they are numbered by the unknown New Zealand issuer, which differs from both the Aussie order and the order given in the Airfix catalogue seen in Plastic Warrior magazine's Airfix 'Special'. These have all the properties of polypropylene, but that’s an illusion, due to their mint'ness, they are actually a cellulose acetate and the Knight, Pilot and the Pirate have all started to arch backwards slightly with the spine-tightening of old-age! I've redone the table to reflect the new set but sticking it down here as a replacement would require a re-hash of the previous version's blurb/paragraph, so I'm going to leave it there, and possibly - for context - re-install the two even-earlier versions roughly where they were, so the progression of information over the nine-odd years of this post/page can be seen! And the whole point of this Blog is to be like a scrap-book. The re-titling of these antipodean sets is also interesting, as clearly the Japanese was dropped out of deference to the sensibilities of those who had shouldered so much of the burden of that (then recent) campaigns in the Pacific theatre, but the dropping of the German as well suggests that they just decided to excise the whole still-smell-the-two-nukes-on-the-breeze Second World War 'business' altogether? 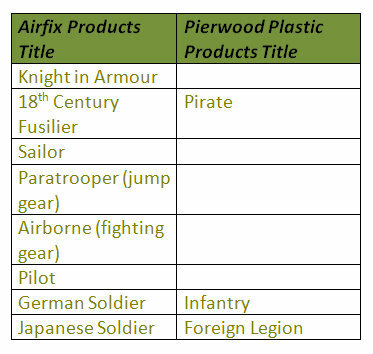 The Commando and Airman are also fair title-adjustments but the Pirate name-change is less obviously explained!